Leather sofas and armchairs create comfort zones in the dark wooden ambience, the service is excellent and you can usually get a seat! Have you got Google Earth on your computer? If so, then download the Google Earth view of Metro Bar. Is this the wrong position for Metro Bar? If you think so, then modify its position. Click / Tap the button above to get directions from where you are to Metro Bar. Does anyone know if Leslie Brookes plays in this bar,He plays jazz. 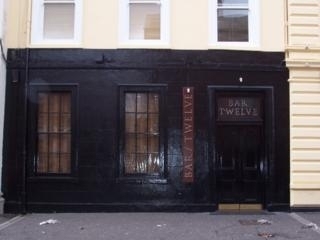 heyo lovin it....bar 12 is the one of the best wee bars in belfast...parlour all the way!!!! loves you lee!!!! yeooooo peace out homies !!!!!!!!!!!!!!! I used to work there part-time and i think the staff are fab and food is great i would go for lunch every other week with my work colleagues and also the management helped me raise funds for a charity for the belfast marathon- thanks guys! i really like this bar. it has a great friendly atmosphere, the clientel who frequent it are usually well presented without being posers, and the place isn't completely stuffed. it's a cool place without being pretentious. it manages the difficult feat of providing good music whilst still allowing you to have a chat over a few beers. it is also handy to lots of other venues and eateries. one of my favourite bars in belfast.